Funnily enough my mid layer is usually the last layer that goes on for me. My usual pattern is to use my base layer then add my rain jacket which reduces airflow and keeps me warm first thing in the morning when its still a bit cool. If I am using my mid layer its cold, really cold, but on occasions I will decide to wear the mid layer as my stand alone top. I also have very specific preferences as far as mid layers go and because it is a cold weather garment I like to have a neck tube and zip that keeps my neck warm but allows toto open the zip up if I need to. 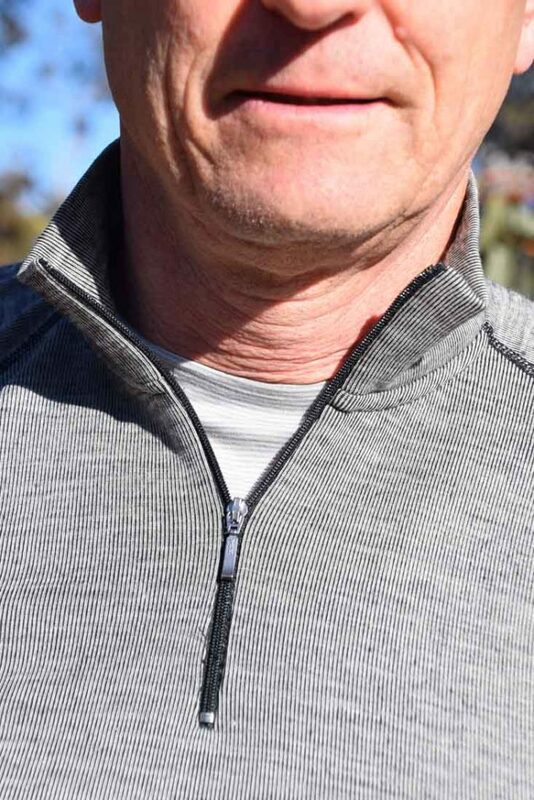 Over the past three months I have been trying out the Wilderness Wear MerinoFusion 190 Long Sleeved Zip Neck Top and it surprised me for a number of reasons. The first time I used this top it was a particularly cold Canberra’s winter day and I used this as as stand alone top. I only glanced at the packaging and made the assumption that this garment was a 100% wool garment like the thinner Wilderness Wear Cumilo Merino 150. This assumption was bolstered as the top gave off that Lanolin smell that you often get with wool garments. It was only after number of months of using this top that I bothered to read the garment specifications and discovered that ‘MerionoFusion’ part of the name means that this top is a combination of Merino Wool and Polypropylene. The idea here it that this hybrid material provides the best of both worlds in that the smell often associated with wearing synthetic garments over long periods is minimised, the garment stays soft to the touch and feels very comfortable on, it continues to keep you warm even when wet but at the same time wicks moisture away from your body on this days when you start to sweat. In addition the use of a synthetic hybrid material means that its cheaper than garments that are 100% wool. I have a preference for snug fitting tops and the cut on this garment is classed as slim fit so the XL size fits me quite nicely. Given that I will also wear this top as a second layer I wouldn’t want it any smaller. 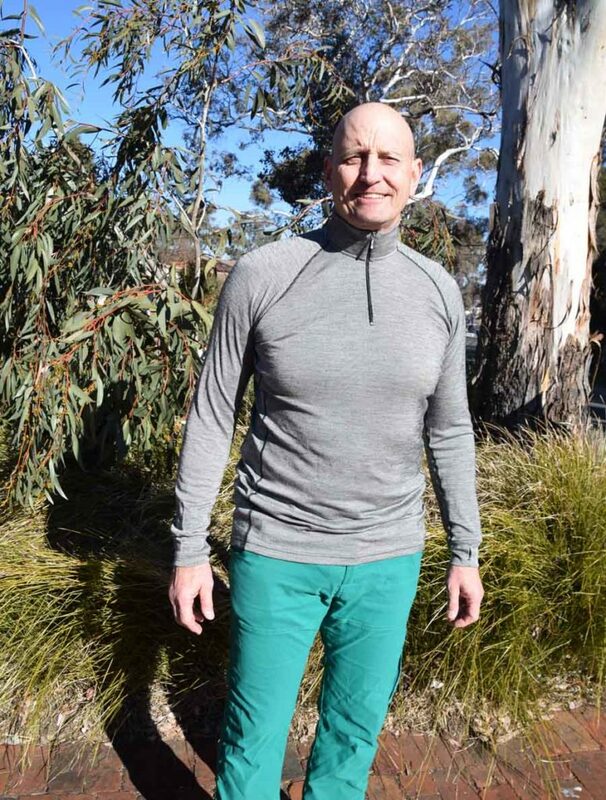 As with the other Wilderness Wear tops that I have reviewed the body and sleeve lengths are very generous which is often a shortcoming of many other brands available on the market which can cause them to ride up or become untucked. 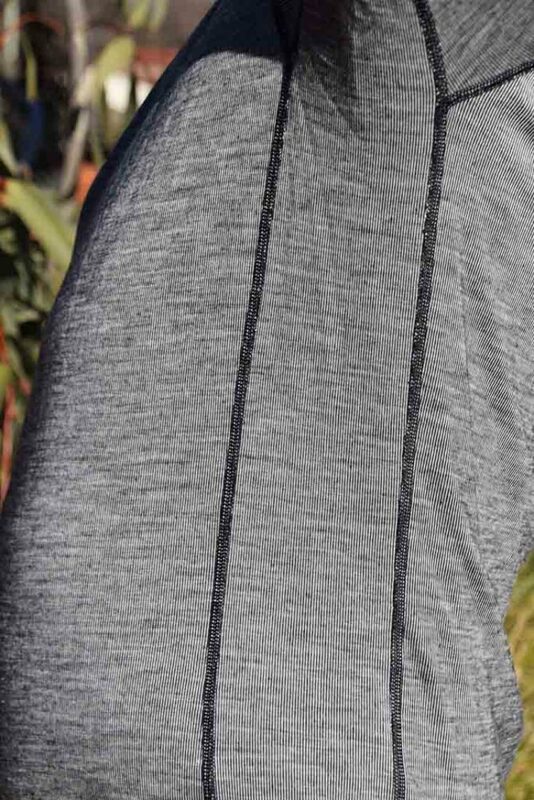 As mentioned I like having a zip neck on my mid layer as as I do lift weights at the gym my neck is on the thicker side. I often find that garments made overseas have a skinny neck and can give me a choking sensation which means that the zip is often left open which defeats the purpose. Not so with the Wilderness Wear MerinoFusion 190 Long Sleeved Zip Neck Top. The neck is a bit bigger so ends up being quit comfortable for me. The other feature worth mentioning here is the additional underarm panel that it present on this garment rather than having a seam that runs straight up under the armpit. This additional panelling makes it feel very comfortable even on long days. This garment also comes in four colour choices which I know is not a consideration for many people but its does allow you to individualise your gear; first world issue I know. I struggled to find any negatives with this top and the only fault I could find is that there is some slight pilling occurring. Given that I tend to ignore the care instructions when washing my garments as i did in this case and put it through a dryer I’ll accepted the blame for this issue; otherwise this top is holding up very well. 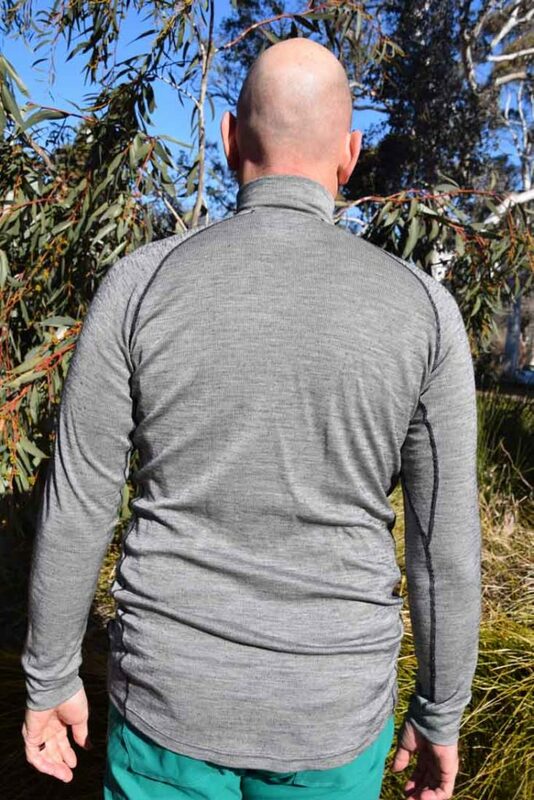 The Wilderness Wear MerinoFusion 190 Long Sleeved Zip Neck Top has now become a firm part of my layering system and I’m very happy to recommend for those looking for this style of top. I have had some pilling occurring on this top but I do put my clothing through a dryer which is not recommended so I’ll claim the blame for this issue.